Blue Star Company, LLC is one of the world’s leading asset disposition companies. We focus on eliminating the risks surrounding data security, and environmental impact, while maximizing value recovery on IT asset investment for businesses around the world. Blue Star Company, LLC offers comprehensive, proven, end-to-end IT asset disposition services. 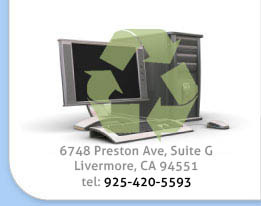 Our services include data security and destruction, corporate employee sales, redeployment, remarketing, lease return, pick up and delivery and environmentally responsible recycling of all types of information technology. We maintain complete control over the entire process to ensure absolute data security and maximum environmental sustainability. Blue Star's industry leading credentials and solution-oriented services makes a reclamation resource you can count on today and down the road as your company takes advantage of technology advances with a minimum of time and effort lost in new equipment changes.